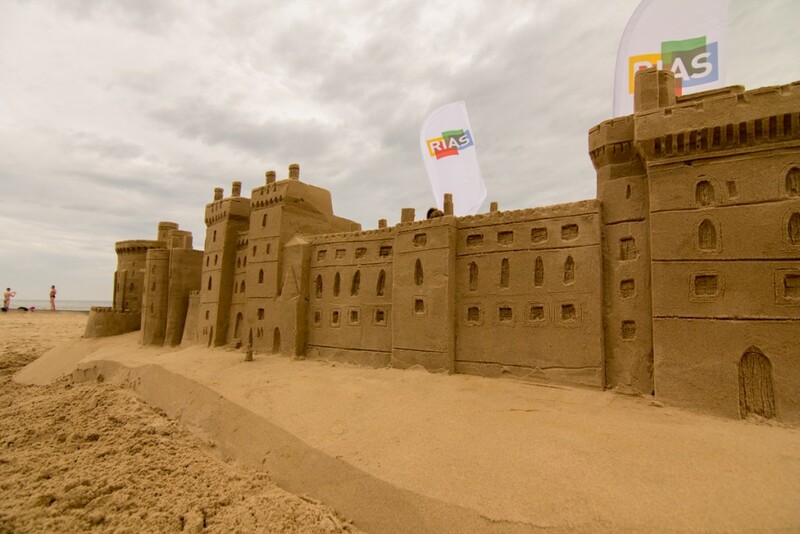 Celebrating the Queen’s 90th Birthday with some fancy castles. 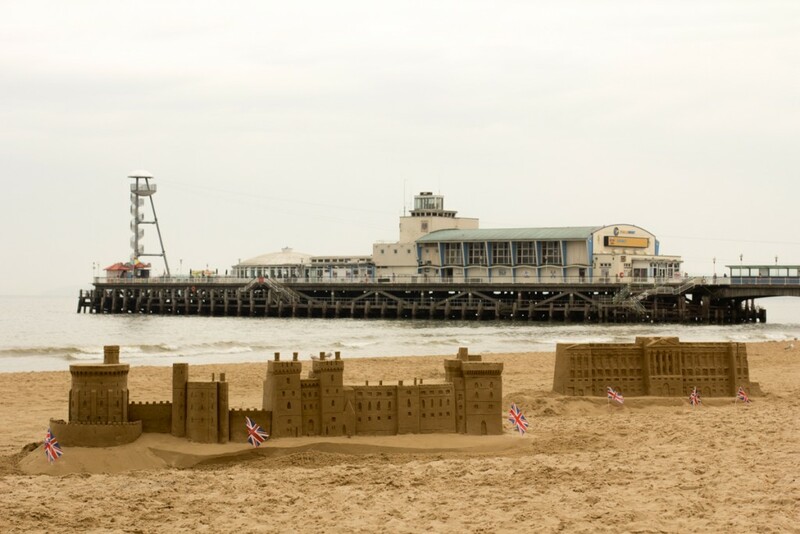 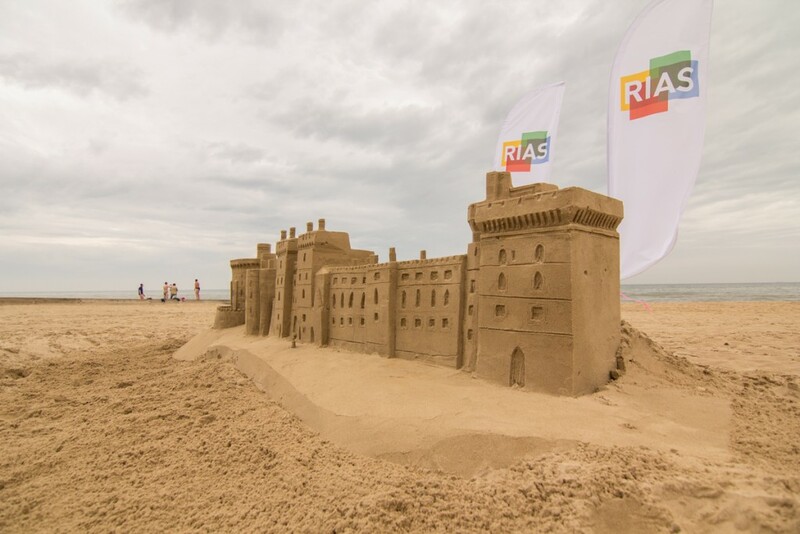 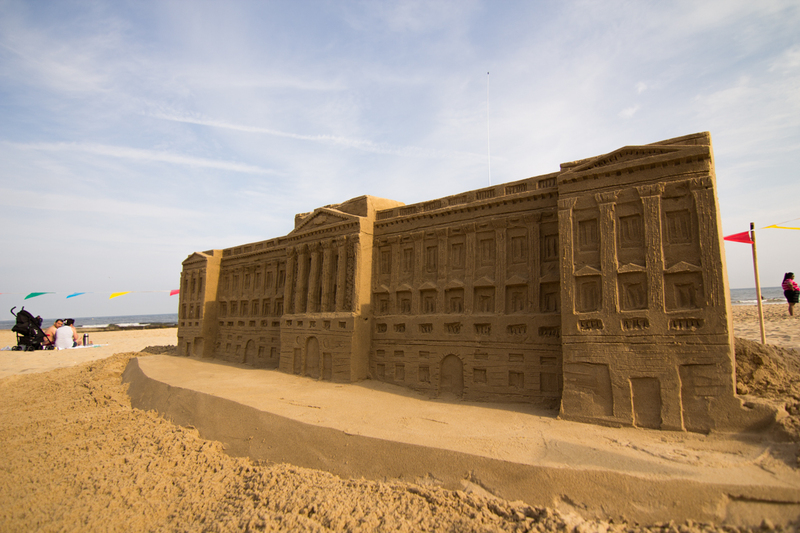 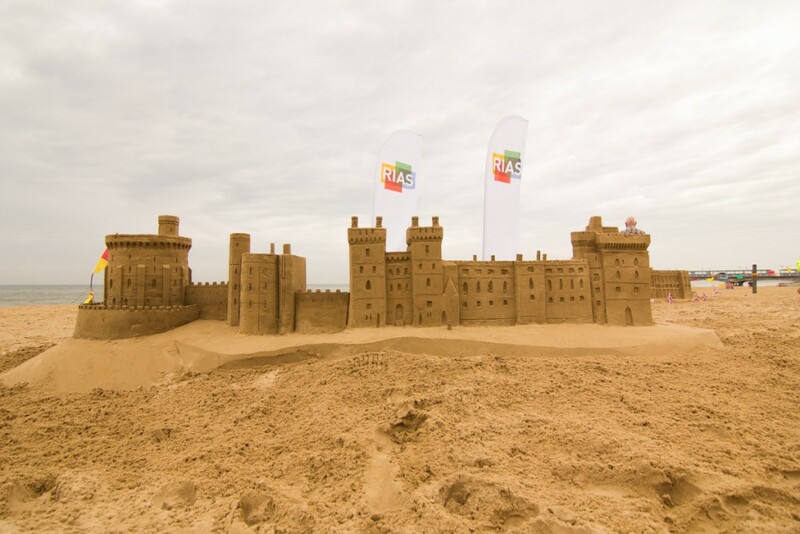 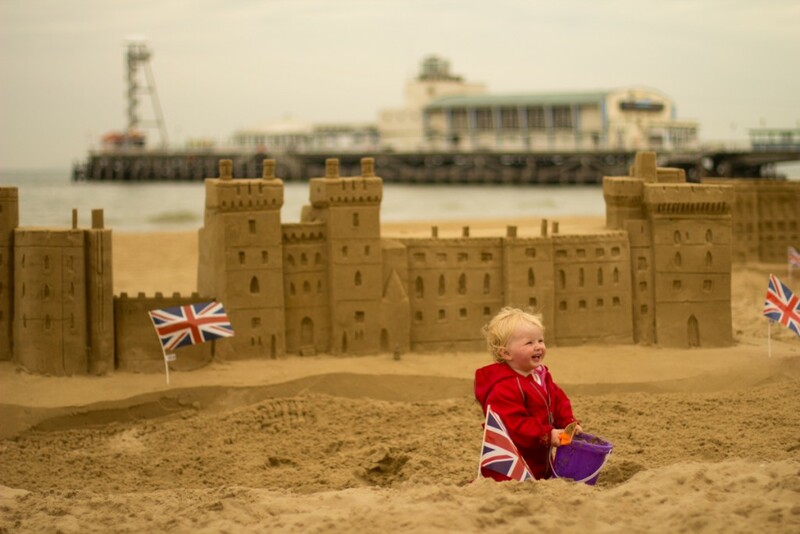 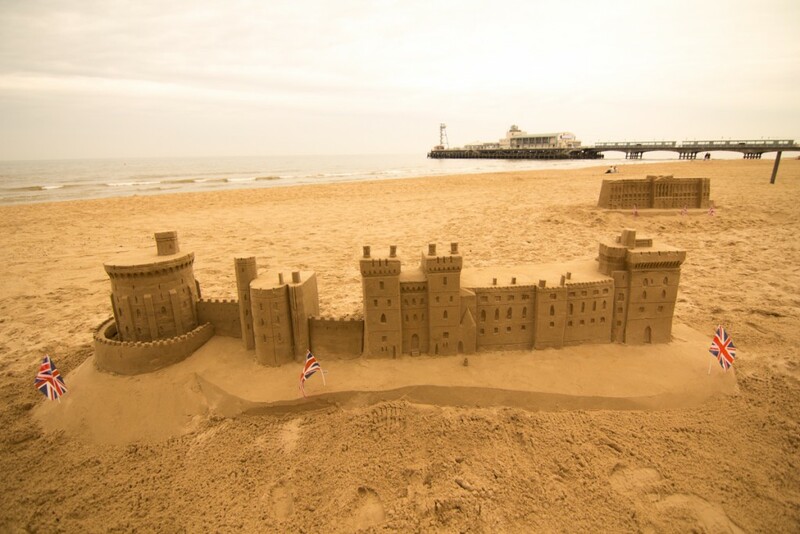 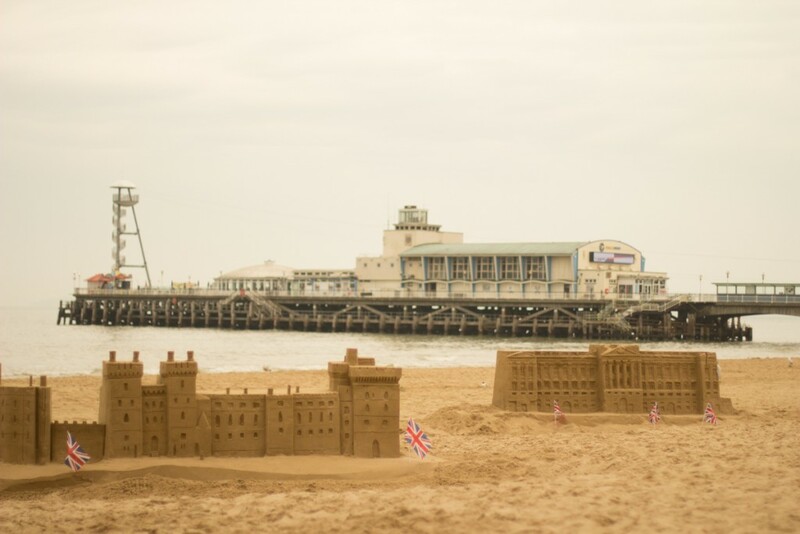 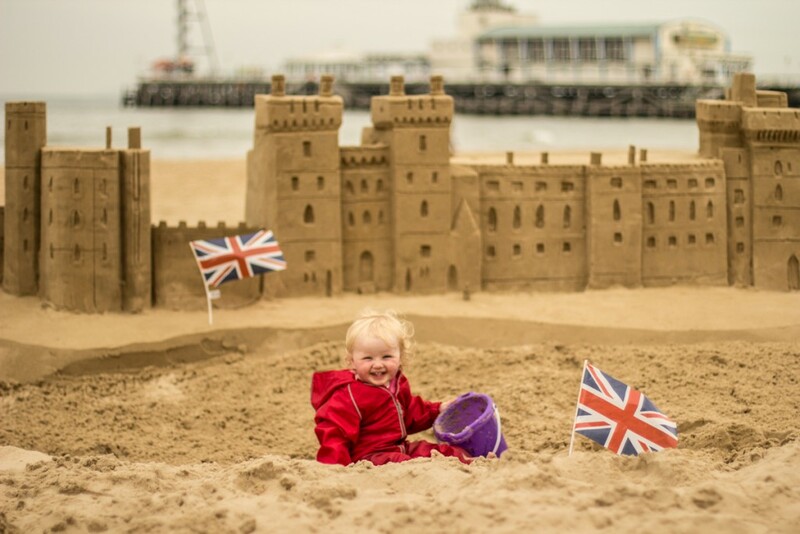 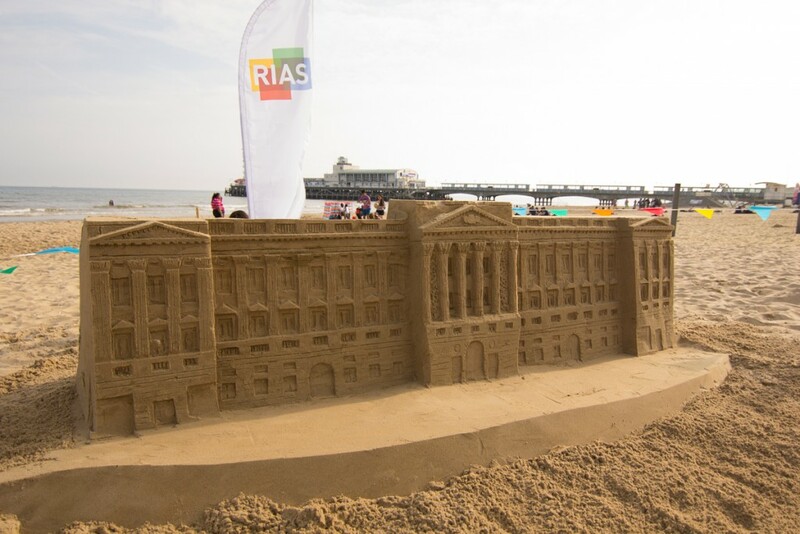 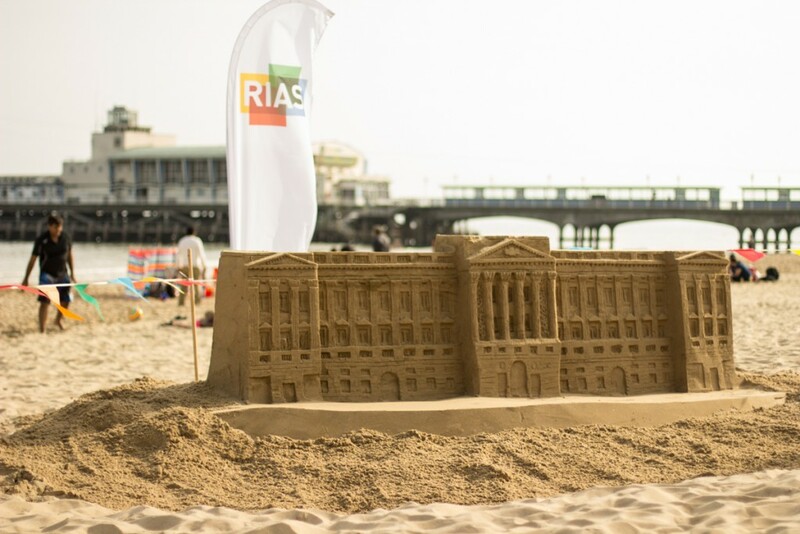 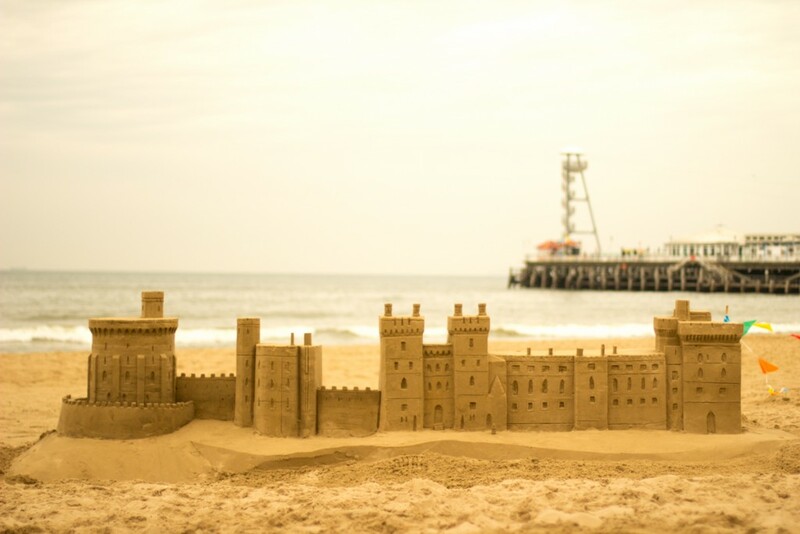 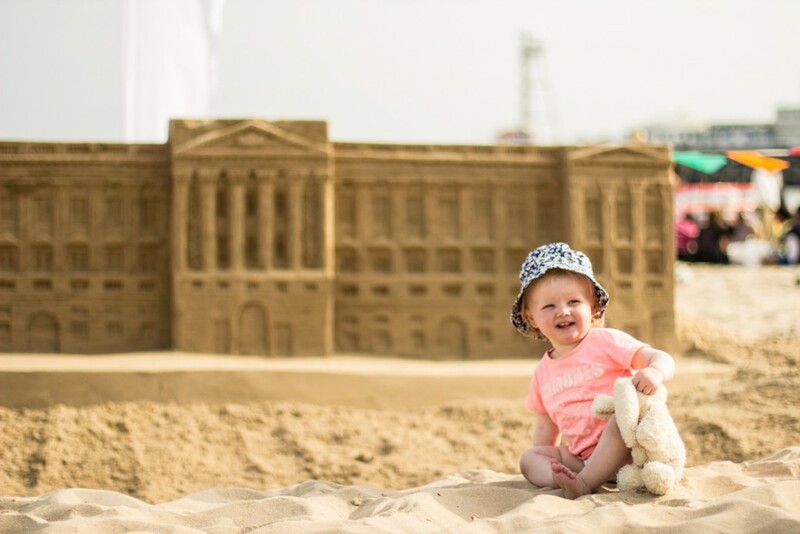 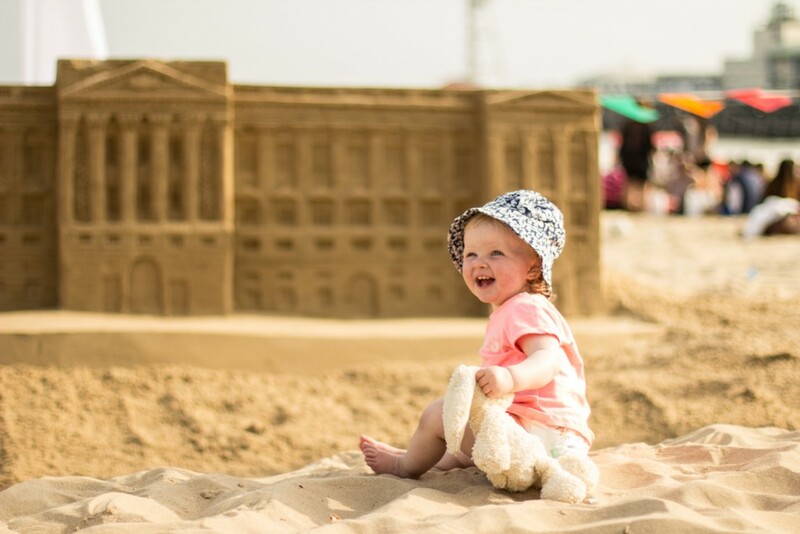 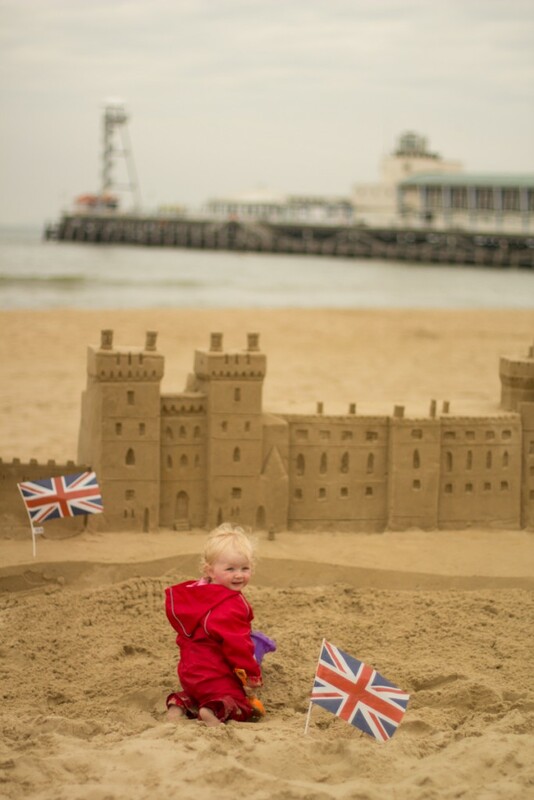 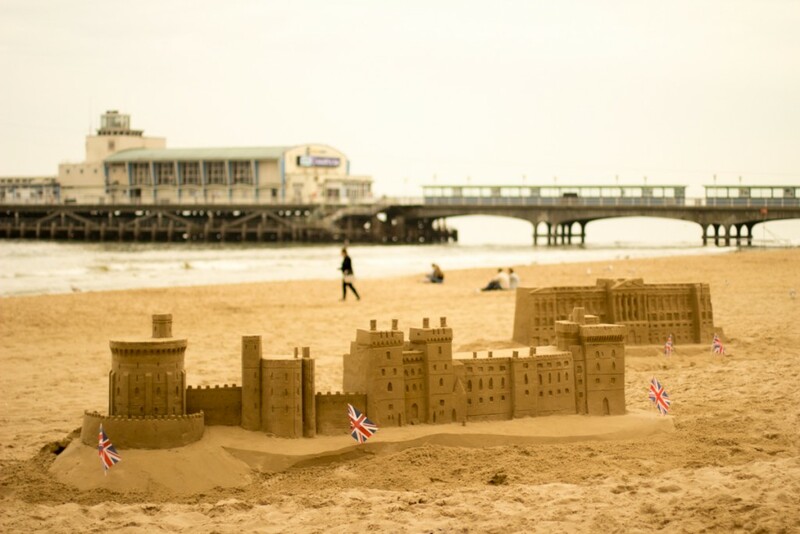 We were delighted when Rias Insurance invited us down to Bournemouth to create some sand sculptures on the beach to help celebrate the Queen’s 90th Birthday. 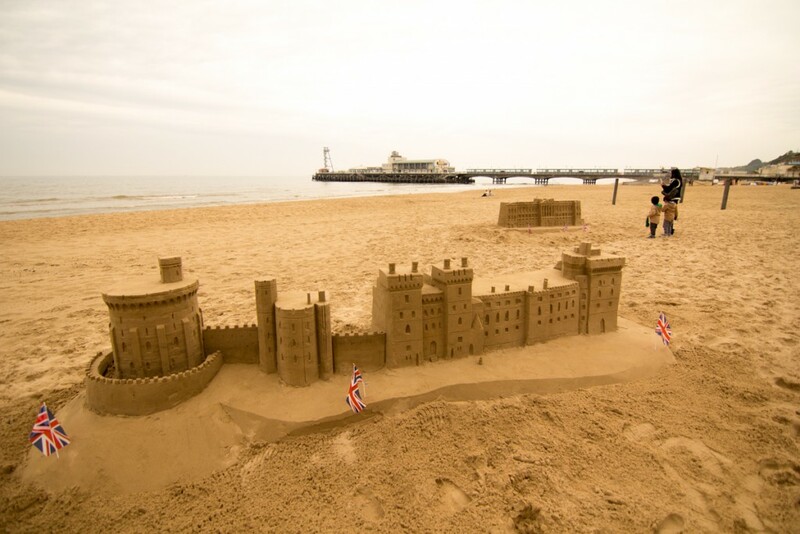 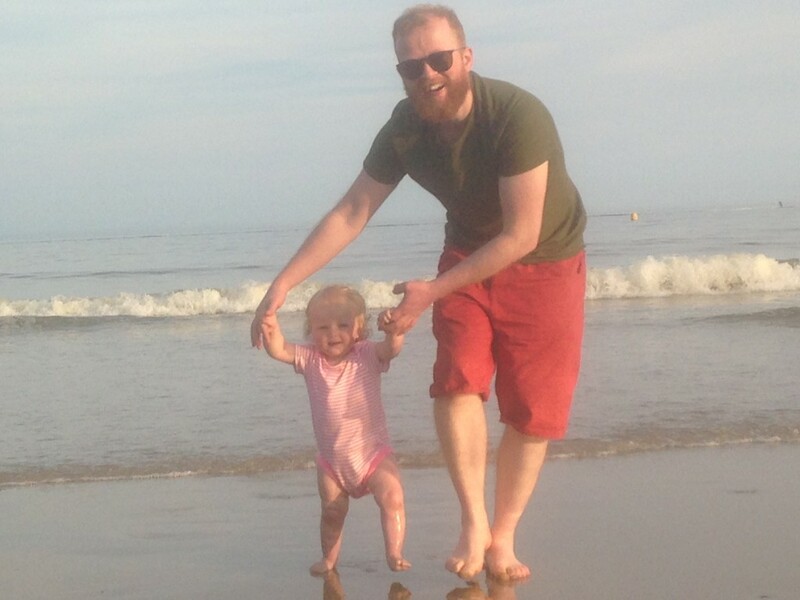 Jamie has some great memories of Bournemouth, as it is where he went to university, so it was lovely to be there again and catch up with some old friends. 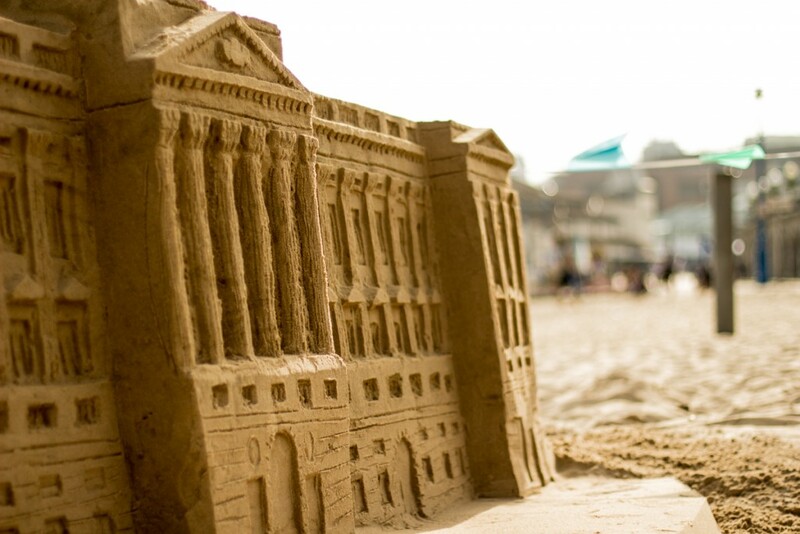 On the first day we created Buckingham Palace in sand. 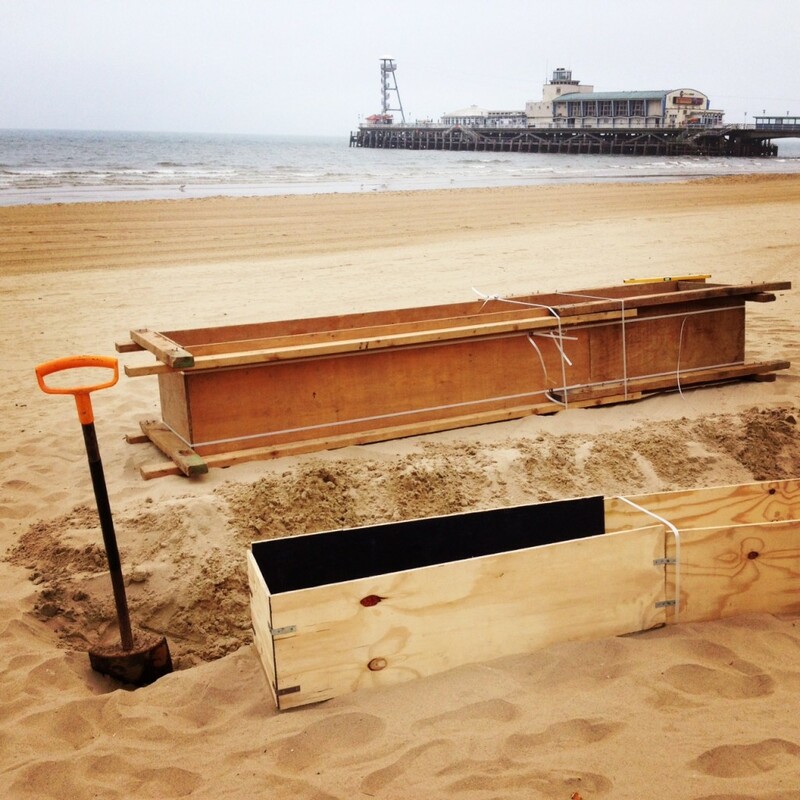 We compacted around 3 and a half tonnes of sand in the morning. 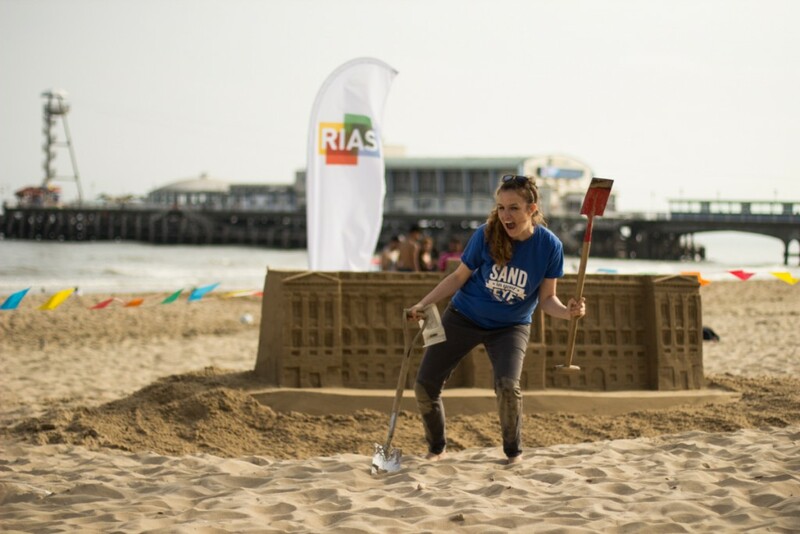 The amazing people at Rias and Lansons were incredible and collected over 1000 litres of water for us from the sea in buckets. 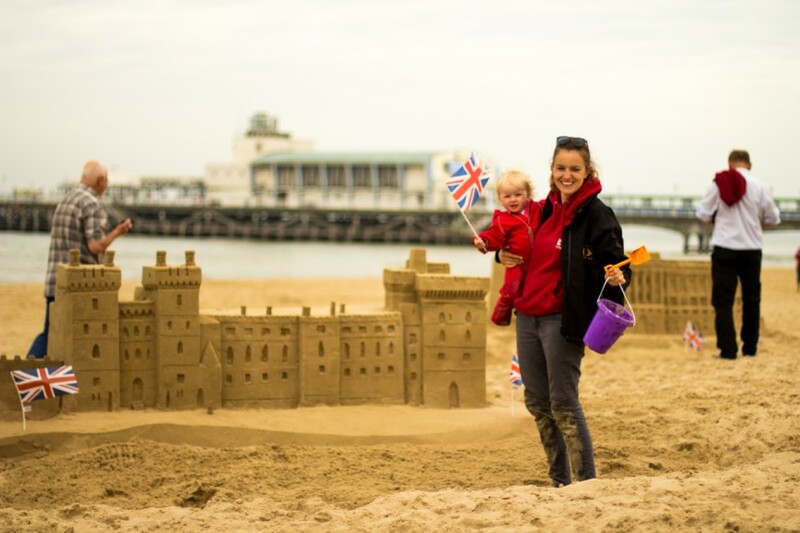 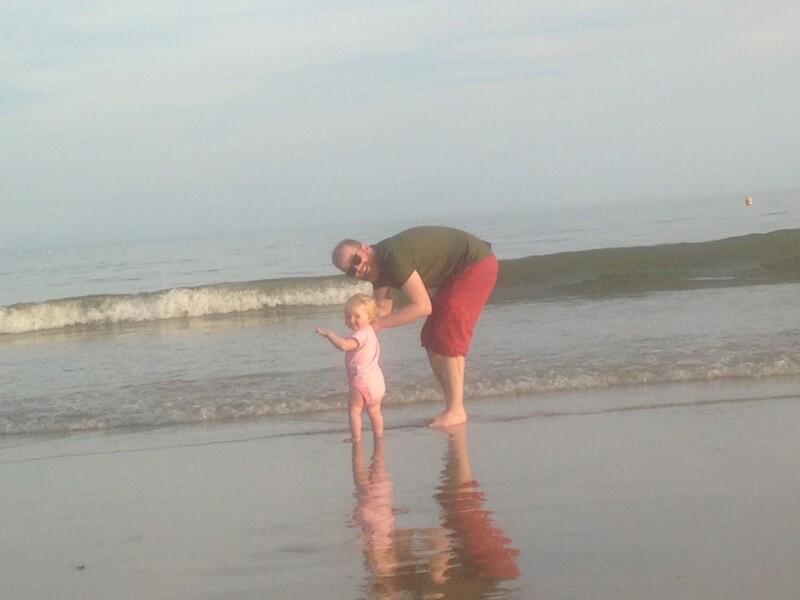 Thanks guys, that’s a lot of carrying buckets across the beach! 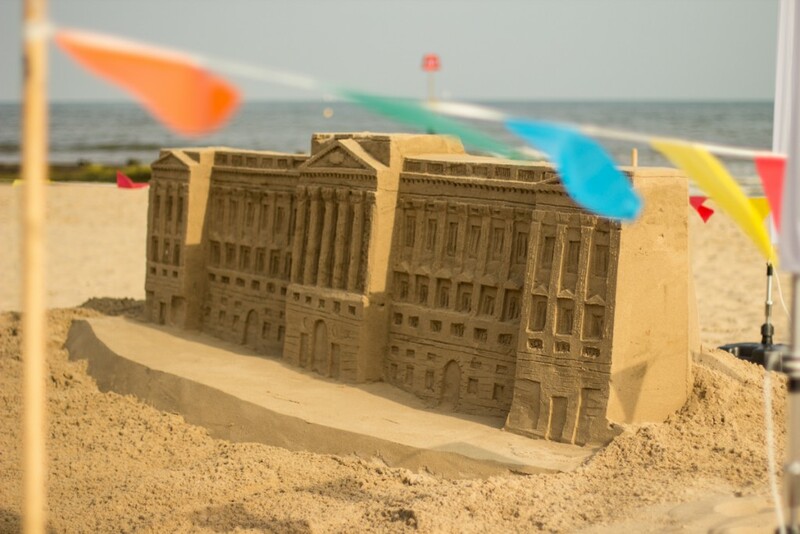 This meant we could concentrate on the sculpting phase. 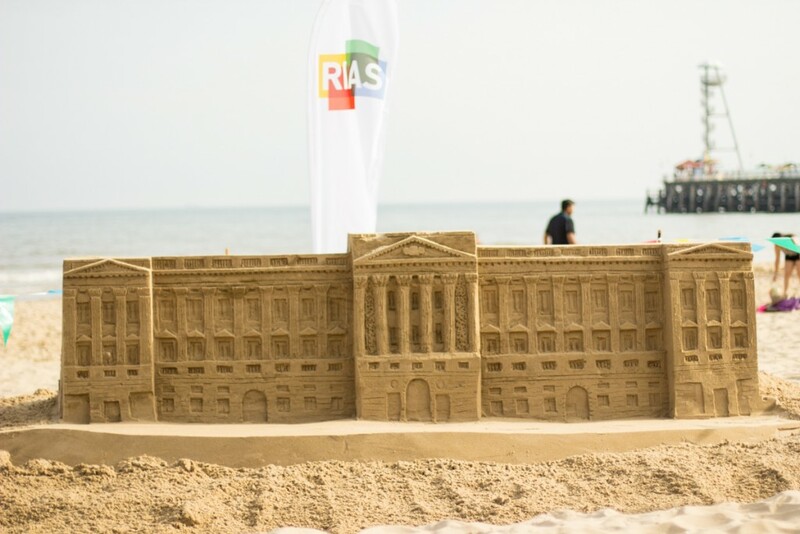 Myself, Claire Jamieson and Jamie Wardley carved out Buckingham Palace in the afternoon in front of the other beach goers, we were pretty pleased with the results. 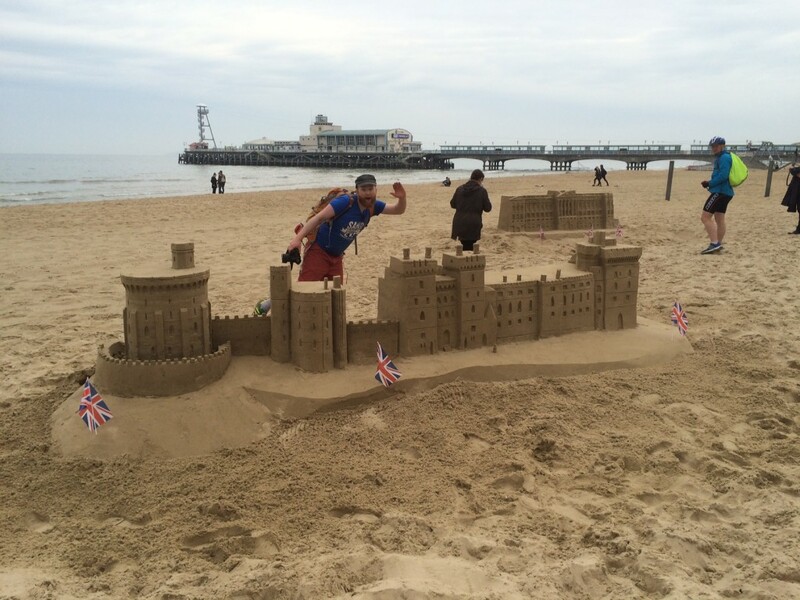 Day 2 we created Windsor Castle. 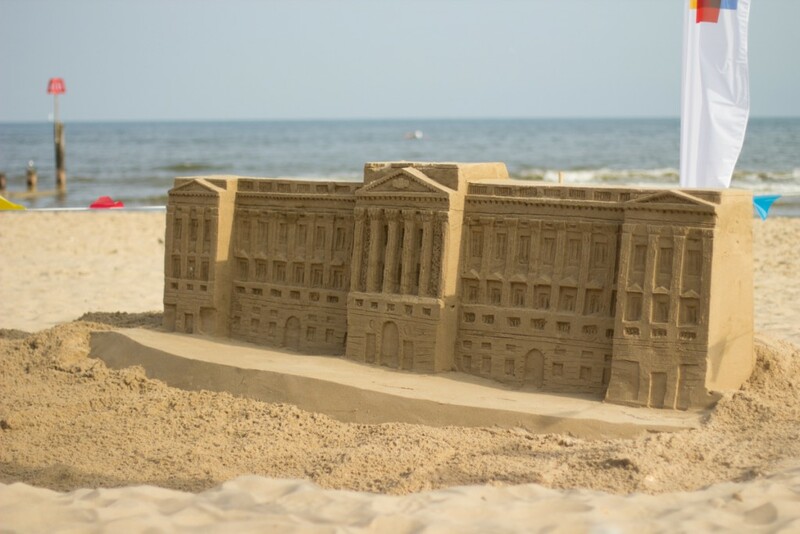 Again we compacted in the morning and began carving in the afternoon. 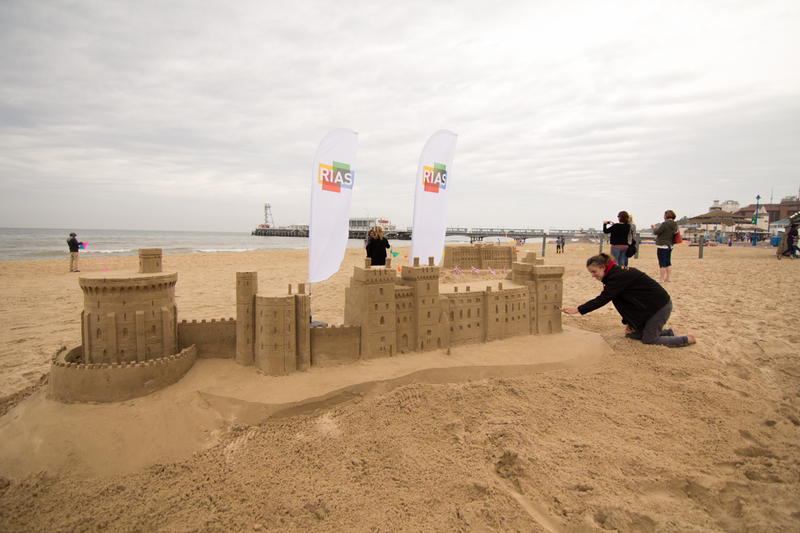 We were joined by BBC South for an interview, radio interviews and lots of local photographers. 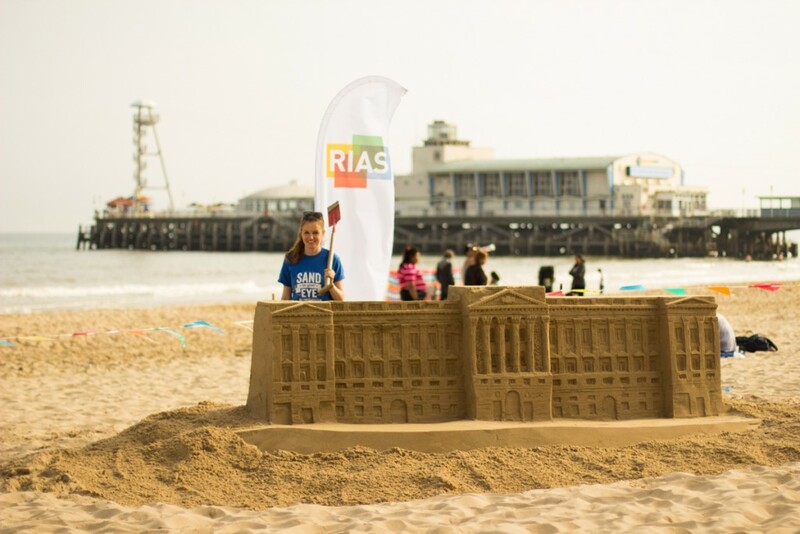 When we completed the sculpture, we were joined by the Mayor of Bournemouth who seemed very impressed, but by that time Florence had got in on the sand sculpting action, taking the credit for our hard work! 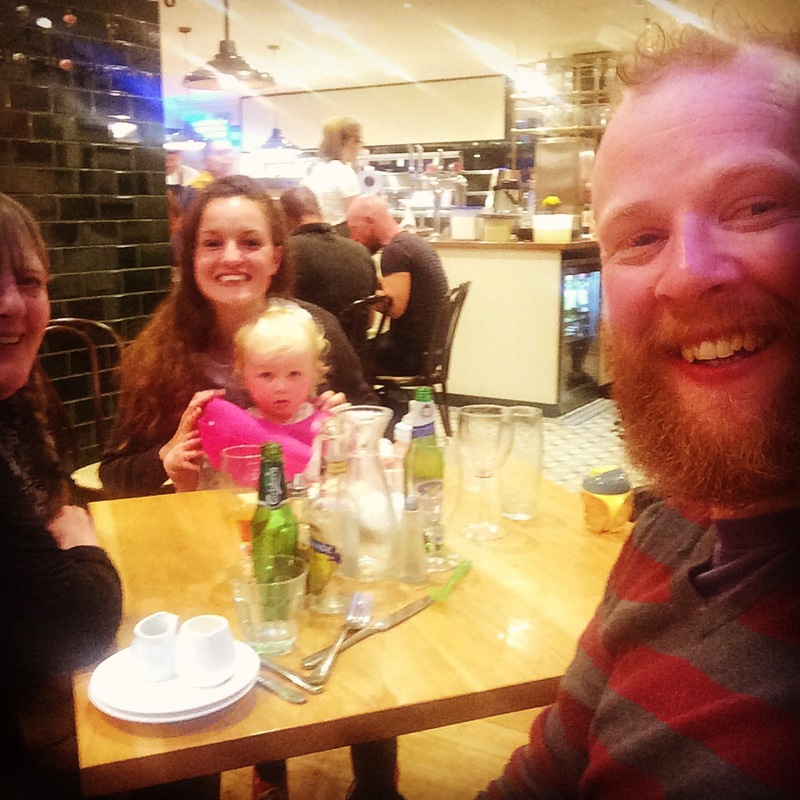 We celebrated the end of a great event by having fish and chips at Chez Fred, the fish and chip restaurant Jamie worked at as a student many years ago. 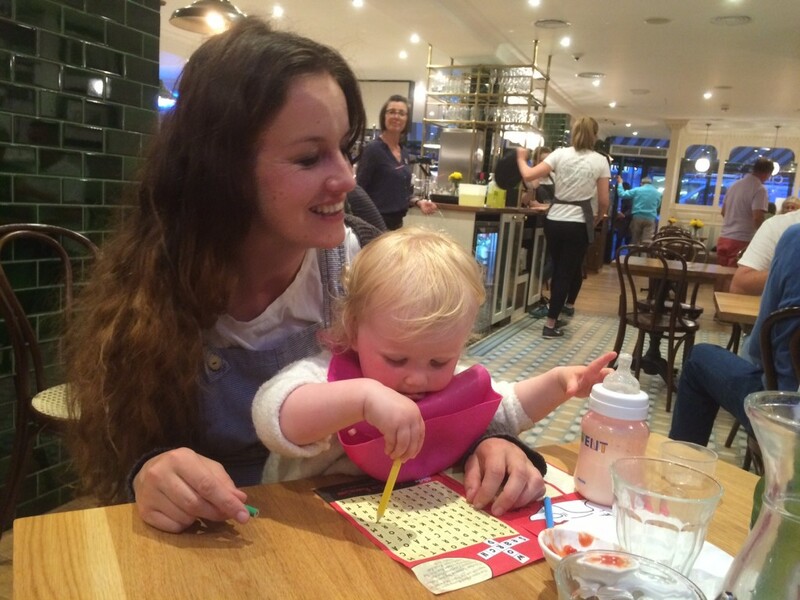 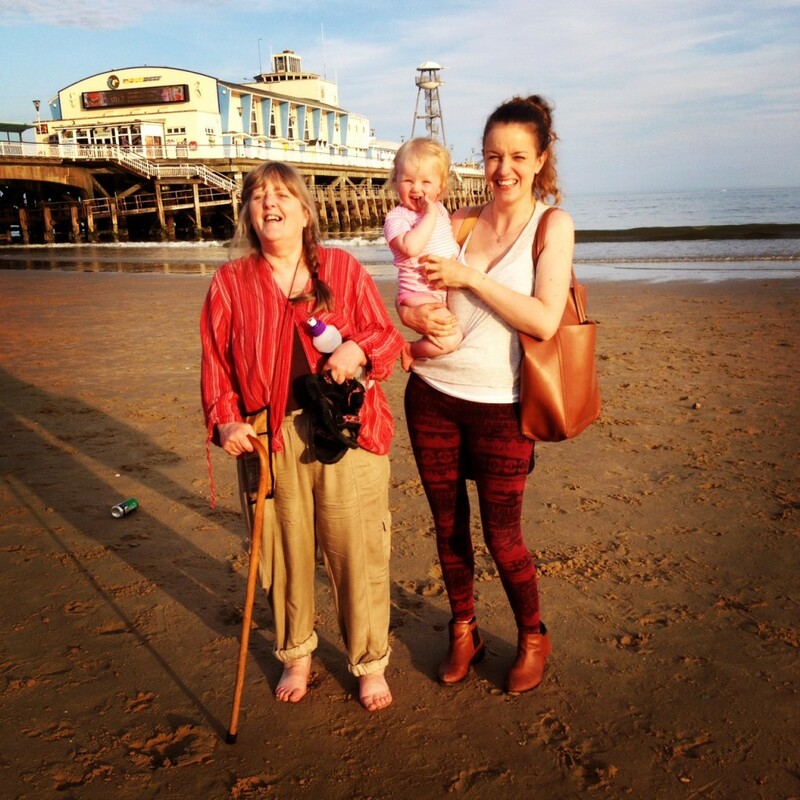 We caught up with Fred and his family for a long overdue catch up and Fred finally got to meet Flossy! 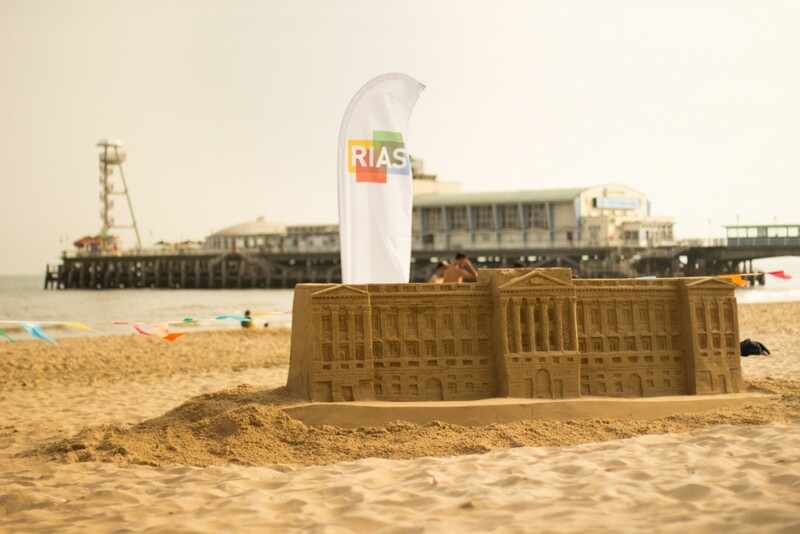 A massive thanks to Rias and Lansons for being such amazing hosts and looking after us so well. 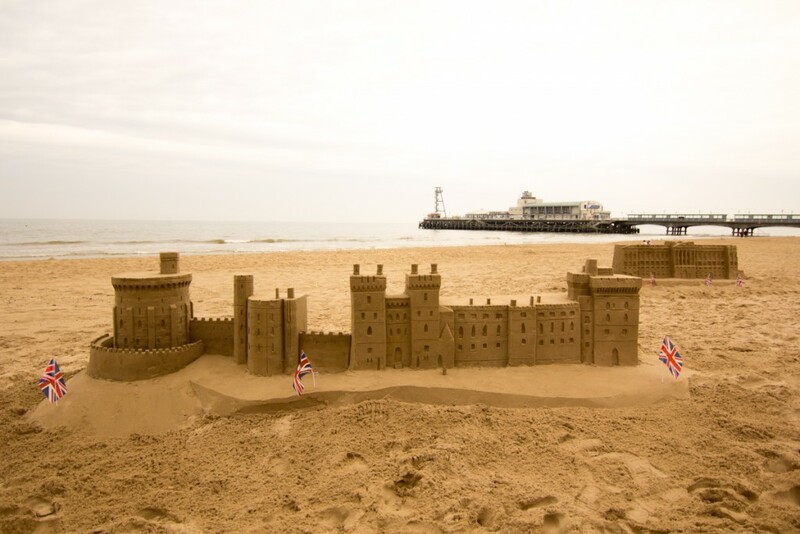 Hope to work with you again in the future. Here’s some images from the 2 days.